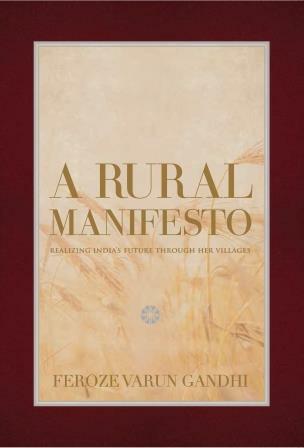 Varun Gandhi has written a sensitive and well-researched book that takes the debate on the problems of rural India well beyond the headlines of indebtedness, suicides and farm loan waivers. Feroze Varun Gandhi’s book on the state of India’s agriculture is extraordinary by any yardstick one chooses to apply. Published by Rupa, it is one of the most exquisitely produced books, outside the coffee-table class, that I have ever seen. It is also 795 pages long, with a 28-page index. That length must not be held against it, because it is not born out of verbosity, but passion. There is a purity in Gandhi’s involvement with the distress of India’s farming community that moves the reader as she pores over the contents pages, even before turning to the first chapter. And there is a comprehensiveness of concern that takes one’s breath away. The preface makes it clear that Gandhi’s subject is not the macroeconomics of agriculture but the microeconomics of small farmers’ distress. The book is divided into 11 chapters, each 60 to 80 pages long, that deal exhaustively with 11 crisis areas in Indian agriculture. The book is long, but does not make for heavy reading because it is an engaging mix of data, analysis and anecdotal descriptions. Each chapter contains up to two dozen shorter descriptions of the challenges farmers have to face, and the way they weigh risks, take decisions and deal with the consequences. In sum, the book has something to offer every student or decision-maker who needs to know how the country’s backbone – its agriculture – is faring. In an age when everyone is short of time, not many people will read the entire book. But everyone who is studying specific issues in agriculture will find its contents enlightening. Its lasting value will rest in its becoming a central point of reference on the causes of rural distress. But the importance of this book does not end with its contents. It lies in who wrote it and what drove him to do so. In an age when the majority of parliamentarians do little but grandstand before the ever-watchful TV cameras in the Lok Sabha, it is remarkable that Gandhi, a sitting MP who was also the general secretary of the BJP for Uttar Pradesh till the advent of Modi Raj, should have devoted so much of his time to researching and writing about the poorest and now most-forgotten segment of our society. When Gandhi became an MP in 2009, the mounting wave of farmers suicides had become a subject of acute concern. Every year, anywhere between 8,000 and 15,000 farmers were committing suicide because they had fallen into irredeemable debt, and the government’s periodic farm loan waivers were failing to make a dent in the problem. Deeply moved, Varun decided to donate his entire MP’s salary every month to the family of a farmer who had committed suicide. One of the first things he learned during his visits to the families of the bereaved was that the waiver of farm loans was making no dent in the problem because there was a high rate of recidivism – even the bereaved families were soon slipping back into debt. The causes of suicide were therefore systemic and not episodic. So he enlisted the help of an economist friend in an attempt to identify a group of indicators that would help them to model the trajectory to suicide. Over the next years, Varun and his colleague studied 22 districts in UP, amassing data on debt to asset ratios, crop cycles, market cycles, weather patterns, soil quality, water availability, the crops being grown, the number of crop failures, availability of bank loans, sources of credit, the number and quantity of loans taken, the rate of interest charged, market and storage conditions, and a host of other variables. They identified 4,872 families in which farmers were three times more likely to commit suicide than the averages indicated. To finance the study Feroze, created a Rs 28 crore fund to which he contributed Rs. 1 crore of his own money and raised the balance from local donors who were willing to put in a minimum of Rs 50,000 each. The causes of rising distress and vulnerability were not limited to frequent crop failures, chronic, irredeemable debt and extortionate interest rates. An important, previously unnoticed cause was the exhaustion of the soil. The study showed that even in UP, large tracts south of Kanpur had suffered such sharp declines in soil fertility that they had been abandoned. The remedy therefore lay in replacing rice and wheat with oilseeds, pulses and other leguminous crops, and medicinal plants. These were not only able to withstand drought and dry spells better, but halved the cost of production. Varun followed up his UP study with a one year tour of 62 districts in 11 states. He came away convinced that the future of the country did not lie in industrialisation and hectic urbanisation, but in tapping the immense potential of agriculture. He gives telling examples to illustrate the waste of precious funds that has occurred because of the step-motherly attitude of the bureaucracy towards agriculture: for instance in UP, Rs 130 crore of MNREGA funds had been earmarked for building rural roads to connect villages, in areas where these roads already existed. Farmers who tried to break out of the rice-wheat cycle by growing fresh fruit and vegetables found a woeful lack of market infrastructure: The storage capacity at the mandis in UP was only 16% of the market arrivals of these perishable crops. As a result, 51% of the fruits and vegetables perished within 96 hours of arriving at the market. In Malihabad, a market town outside Lucknow that is the centre of the state’s trade in mangoes, the daily arrival of mangoes at the peak of the season is 2,000 tonnes. But the storage capacity is only 100 tonnes! The country has elected 15 Lok Sabhas, perhaps 4,000 members in all, over the past 70 years. I cannot think of any other MP who has engaged for so long in such a grand labour of love. Varun Gandhi’s book holds up a mirror to parliament to show its members what they can be.